An original New England native Sandra Champagne is an experienced and successful Realtor who has made South Florida her home for the past 30 years and a Delray Beach resident for nearly 25 years. Sandra's reputation is built on qualities such as honesty, integrity and her enthusiasm for life. Listening, educating and communication are at the forefront of her commitments to each and every client along with research analysis and attention to detail. Sandra delivers a unique personal experience to everyone she represents, One that is founded on trust and attentiveness every step of the way. Sandra's promise is to listen, be responsive, never pressure and to do everything she can to make your home buying and selling stress free and help you achieve your objectives. 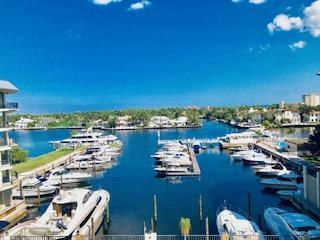 In her free time, you can find Sandra enjoying the best of South Florida from relaxing on one of many fabulous beaches or shopping and dining on exciting Atlantic Avenue in Delray Beach to celebrated Worth Avenue in Palm Beach. Call her today for the finest in Florida living and lifestyle. And remember, it's Champagne when you want the best in Real Estate!